Wattles School is named after Alexander Wattles. 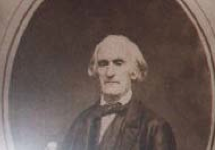 He was an original settler that came to Troy in 1837. There is also a main road named after Mr. Wattles. Alexander came to Troy because of a land grant. A land grant is when the government gives you land for free. years. He had two great, great, great, great granddaughters that went to Wattles Elementary School. If you want to see Alexander’s tomb stone, you can go to the cemetery in front of Boulan Park on Crooks Road, between Big Beaver and Wattles Roads.